Montagues in South Shore, Blackpool, 73 Highfield Road, Blackpool have now been awarded the prestigious Good Food Award for 2016. Over the last twelve months we have evaluated customer feedback and these premises have demonstrated exceptional levels of food quality, service and value when compared to industry benchmarks in their category. 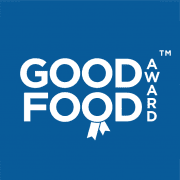 In recognition of this achievement they have been duly awarded the Good Food award for 2016. Whether it is breakfast, lunch, dinner or drinks you will find we offer a small, well considered choice. We prepare everything from scratch so sometimes that may mean it takes a little bit longer when we are busy. When it is quieter we will try to be as helpful as we can, so if you want something different just ask.